Twitterati in India, and perhaps Pakistan too, was in for a surprise on Monday morning when it came across a tweet in Hindi posted by @PTIofficial — the official Twitter account of the ruling Pakistan Tehreek-e-Insaf (PTI) party in the neighbouring country. Not only did the party choose the Devanagri script to convey its leader and the country’s Prime Minister Imran Khan’s reaction to the campaign demanding a Nobel Peace Prize for him, but also composed the tweet in chaste Hindi. 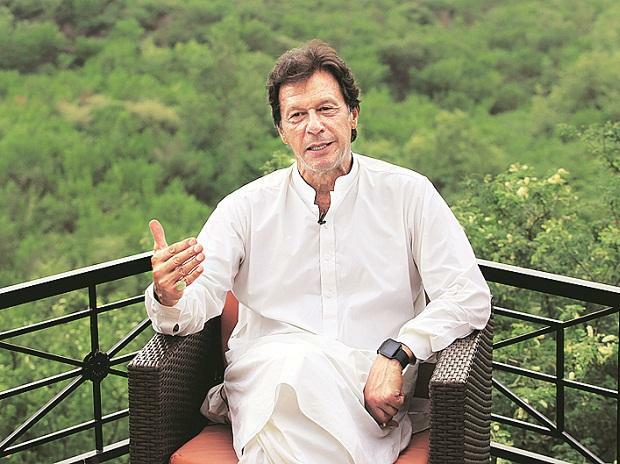 To summarise the message conveyed in the tweet, it quoted Khan as saying that he did not consider himself eligible for the prize and that someone who “resolved the Kashmir dispute according to Kashmiri people's wishes” and "paved the way for peace and human development in the subcontinent" deserved it. Users responded with all kinds of tweets ranging from questioning the PTI’s intent to wondering who in Pakistan had such good knowledge of the language. After announcing that the Aam Aadmi Party (AAP) will fight the upcoming Lok Sabha elections in Delhi, Punjab and Haryana on its own, the party has drawn up a list of leaders who would be its star campaigners. Chief Ministers Mamata Banerjee (West Bengal) and N Chandrababu Naidu (Andhra Pradesh), disgruntled Bharatiya Janata Party (BJP) leader Shatrughan Sinha and former Finance Minister Yashwant Sinha — who quit the BJP sometime back — are among the top leaders the AAP is counting on to spread the good word for it. The party had on Saturday named its candidates for six of Delhi's seven Lok Sabha seats and entered the second phase of its poll campaign in the city. The coming Lok Sabha election will see the debut for many next generation leaders in Tamil Nadu. Nominations on behalf of Chief Minister Edappadi K Palaniswami’s son Mithun Kumar, and industry minister M C Sampath’s son S Pravin were filed by party cadres. Deputy Chief Minister O Panneerselvam's son P Ravindranath Kumar is planning to submit his application too. Other top leaders battling for seats for their close ones are fisheries minister D Jayakumar, law minister C V Shanmugam and municipal administration minister S P Velumani. Supporters of actor Udhayanidhi Stalin have urged his father and Dravida Munnetra Kazhagam (DMK) president MK Stalin’s to field him from Tiruvarur. It is learnt senior DMK leader and party treasurer S Duraimurugan has sought support for his son Kathir Anand, who is likely to contest from Vellore. Desiya Murpokku Dravida Kazhagam leader Vijayakanth’s son Vijay Prabhakaran, who is likely to be a star campaigner for the party ahead of the polls, could also be in the fray.